Business Partners @ The Old Livery Mercantile - Come Ride With Us! A good pard is someone you can trust. 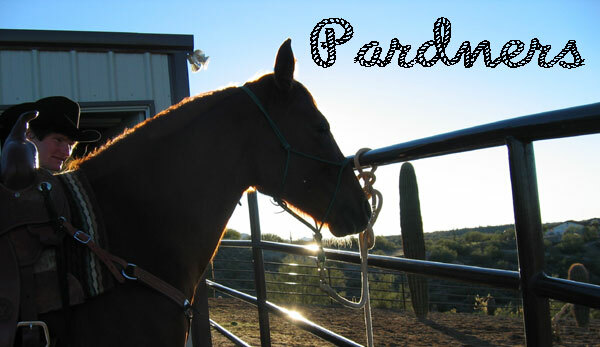 Proven to be dependable through thick and thin, your pard's always there for you when you need them. They'll throw you the loop when you're bogged out, and stand up for what's right. These are the kinds of folks who make it into here. It doesn't matter if it's business or personal, folks. They've served us well, and we'd do the same for them. We're proud to be listed on Arizona Lookup Business Directory, your source for free Arizona Business Advertising. Sign up today...you've got nothing to lose. Frank Bennett has done more to improve our horsemanship than anyone else, and for that we are eternally grateful. Frank does everything from one-on-one lessons all the way up to Executive Seminars, and is an adherent of Buck Brannaman's brand of Natural Horsemanship. Bridle & Bit is a great resource for all things Equine. If it's a horse event, particularly if it's in Arizona, you'll find it in B&B. They publish once a month and should be available at your local tack & feed. It's online no matter what. If everyone here tipped their hat to the Wagers and their hardworking staff as much as they ought to, there'd be lots of us with overcreased brims, I'll tell you that. We would like to thank Chase Bank for doing such a fine job providing for all our Small Business banking needs. A tip of the hat to Cowboy.com is in order. Cowboy.com is a great tool for connecting Cowboys, Ranchers, and enthusiasts of the Old West while spreading the word about Western Events. List your event there today! Red Steagall's Cowboy Corner is a wonderful program that celebrates the Cowboy and his homeland, the American West. There's never enough good to be said about Red and all that he's done for folks. Creations In Thread of Wickenburg, Arizona has been very helpful when it comes to providing us with workwear and advertising. The Del E. Webb Center for the Performing Arts is a wonderful cultural outlet in Wickenburg and provides great advertising opportunities. We are proud to support the Webb Center and their eclectic mix of entertainment. We are grateful to our friends at FedEx for providing services where others sometimes cannot. Let's not forget the special programs they offer to AQHA members like ourselves, too. ICDSOFT has done a great job accommodating our Web Hosting and Intrusion Protection needs. Like a good shotgun, they're always there when you need them. We consider Jim Keen to be a real "pard", tried and true. He's doing the Lord's work out here in the West, standing up for the American Rancher and their way of life. We're proud to offer many of his items for sale here. Meredith Hodges and her team at The Lucky Three Ranch have been truly wonderful to work with. If you think Mules are slow, stubborn, mean-spirited creatures, take a look at what they're doing with them at the Lucky Three Ranch! Also, don't miss her informative training programs on RFD-TV. These techniques will help with your horses, too. Without PayPal, our internet commerce engine would grind to a halt. They provide affordable, easy to configure e-commerce tools and seamlessly integrate into your website. Ranch and Reata is a promising new media outlet that is very much in tune with the lifestyle of the Western Rancher. They offer a superb internet radio station that streams quality Western programming, from old to brand spanking new, 24/7. We can't wait for the new e-Zine to come out! The good folks at RFD-TV always have a full plate of equine, rodeo, agricultural, and rural lifestyle programming ready to serve up for you. They're redefining what it means to be a broadcaster "out there," and we appreciate it. They've grown by leaps and bounds, and are now featured on many urban cable networks, too. The Westerner The Westerner is a great blog that addresses issues of concern to Western Agriculture. It's got everything from politics to Cowboy tales. Frank DuBois is an all-around great guy, and is very much up to date on all things Western. You might give his DuBois Rodeo Scholarship a gander, too. True West Magazine is a wonderful resource for people who love all things Western, particularly the history of the Old West. Honest, uncensored, and always entertaining, we are proud to be a part of True West. The United States Postal Service has more to offer than meets the eye. Besides making sure our bills get where they need to go on time, the USPS is always glad to lend a hand delivering our small packages and printed media. If you haven't done so, you might visit their website to find ways to make your mail get there faster or to order mailing supplies. Brown really can do a lot for you! Running the store without UPS is unthinkable. Maria Langer and the crew over at wickenburg-az.com have always been eager to help us out, even when others had their doubts. Wickenburgnews.com has also proven to be a valuable resource. They're easy to work with and fast to boot! The crew at The Wickenburg Sun have always been great to work with for advertising.